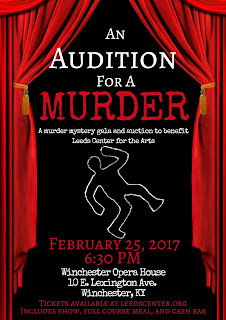 “An Audition for a Murder” takes you to The Westchester Community Theatre, where open auditions are being held for its next production, ‘Death of a Disco Dancer,’ written by a locally known playwright. As local actors show up for cold readings, it becomes evident that there is some animosity among those who have worked together before. Over the course of auditions, someone dies! The audience will be asked to try to determine who the killer(s) is and how they did it. 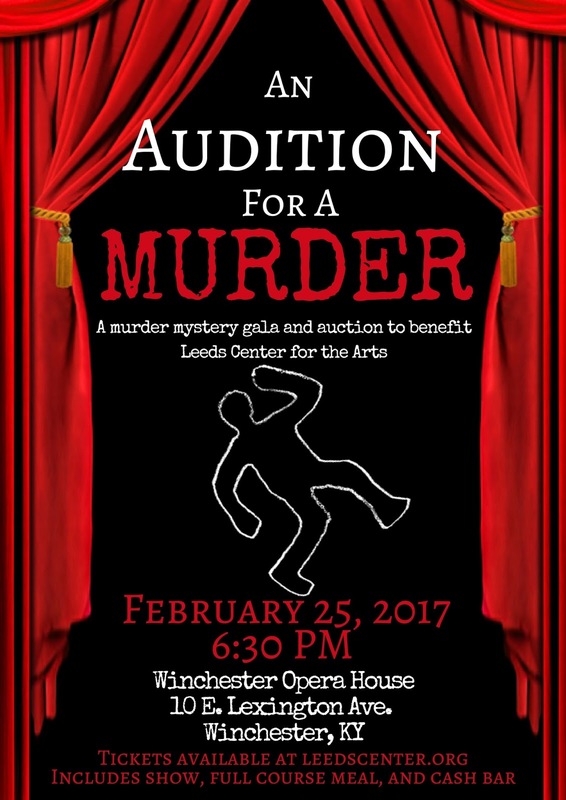 This event on February 25th at the Winchester Opera House is one of the biggest fundraisers of the year for the local arts center in Winchester. The evening will include dinner, the show, as well as live and silent auctions. A cash bar will also be available. Doors open for the event at 5:30 p.m., with the dinner and show beginning at 6:30 p.m. Tickets are $50 each. For more information, head to leedscenter.org, check out their Facebook page or call (859) 744-6437.